light effects immerse you into the experience. It’s time to put your game face on. 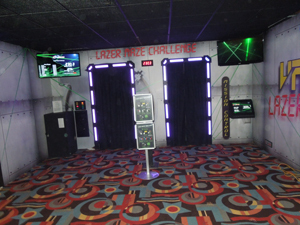 The Laser Maze Challenge is a timed event. The lower the time, the better. Your mission is to navigate the Maze without breaking a beam. If you do, that’s OK, you’re simply penalized with time being added to your score.